"Chengdu Airport" redirects here. For the new airport under construction, see Chengdu Tianfu International Airport. Chengdu Shuangliu International Airport (IATA: CTU, ICAO: ZUUU) is the major international airport serving Chengdu, the capital of Sichuan province, China. Located about 16 kilometres (10 mi) southwest of downtown Chengdu to the north of Shuangliu District, Shuangliu airport is an important aviation hub for Western China. Shuangliu Airport is one of the two core hubs for Air China, together with Beijing, as well as the main hub and headquarters for Sichuan Airlines and Chengdu Airlines. China Eastern Airlines, China Southern Airlines, Shenzhen Airlines, Lucky Air and Tibet Airlines also have bases at Shuangliu Airport. Chengdu airport is also a 144-hour transit visa-free airport for foreigners from many countries. Shuangliu Airport handled 42.2 million passengers in 2015. It was among world's top 30 busiest airport in 2015, the fourth-busiest in mainland China, and the busiest in western China. It was also the fourth-busiest airport in terms of cargo traffic in China for 2013. The airport, formerly named Shuangguisi Airport, opened as an auxiliary military airfield in 1938 during the Second Sino-Japanese War/World War II. At the time, its runway was only large enough for small biplanes. It was also where the Republic of China Air Force Polikarpov I-15 fighters of the 5th Pursuit Group were based for aerial defense of the Chengtu area against Imperial Japanese bomber raids; this following the Chinese retreat from Wuhan to Chungking(now Chongqing) as the new provisional capital in aftermath of the Battle of Wuhan against the Imperial Japanese onslaught. Civilian targets were indiscriminately bombed, and ace fighter pilot of the Chinese Air Force Major Wong Sun-shui and Lieutenant Lin Heng (younger brother of renowned architect and poet Lin Huiyin) flying in their I-15 fighter planes were both killed near Shuangliu air base as a result of battling against the world's best fighter aircraft of the time, the A6M "Zero" (Reisen) fighter, in defense of Chengdu on 14 March 1941. During World War II, the airport was known as Shwangliu (Shuangliu) Airfield and was later used by the United States Army Air Forces Fourteenth Air Force as part of the China Defensive Campaign (1942–1945). It was used as a fighter base by the 33d Fighter Group, which flew P-47 Thunderbolt fighter-bombers from the airport in 1944 to support Chinese ground forces, and also by reconnaissance units that operated camera-equipped P-38 Lightnings that located Japanese forces and provided intelligence to the fighter-bombers. The Americans closed their facilities at Shwangliu Airfield at the end of August 1945. On December 12, 1956, the Shuangguisi Airport was put under civil aviation, which was then formally listed as a civil aviation airport and renamed Chengdu Shuangliu Airport. In 1957, the flights of Chengdu civil aviation were shifted to Shuangliu Airport from Guanghan Airport. The flight courses from Chengdu were thus opened to various cities within China including Beijing, Taiyuan, Xi'an, Chongqing, Kunming, Guiyang, and Nanchong. The airport went through several earlier expansions in 1959, 1967, 1983 and 1991 respectively. A large-scale expansion was conducted on flight area and navigation area from 1994 to 2001. The runway was extended to 3,600 metres (11,811 ft) with Class 4E rating, allowing for larger jumbo jets including the Boeing 747-400. The newly built terminal building was incorporated with a three-parallel-porch design, accommodating an hourly capacity of 3,500 passengers during rush hours, while the previous terminal building was only designated for regional flights within Sichuan and Chongqing. The airport is now an international civil airport with flights to more than 50 international destinations and over 170 domestic airports, and is a hub for Chengdu Airlines, Air China and Sichuan Airlines. It is linked to downtown Chengdu by the Airport Expressway, the Chengdu–Mianyang–Leshan intercity railway and the newly built Chengdu Metro line 10 which has stations in both terminals. KLM launched the first intercontinental air route from Chengdu, to Amsterdam, on 28 May 2006. The construction of its second runway started from late 2008, and service commenced in December 2009. The completed new runway, 3,600 metres (11,811 ft) in length and 60 metres (197 ft) in width, upgraded the previous flight area rating from 4E to 4F, capable of handling the Airbus A380. The new Terminal 2 has started construction in June 2009; trial operations began on July 28, 2012 with limited airlines and was officially opened on August 9, 2012 for all domestic airlines other than Sichuan Airlines. T1 is split into Domestic and International wings, and retained all international flights from airlines within and outside China. The new terminal is twice the size of the current T1, and allows the airport to handle up to 50 million passengers annually. 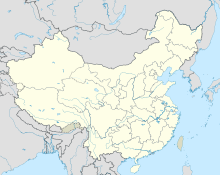 On June 9, 2014, United Airlines began operating a nonstop service from San Francisco to Chengdu, connecting central China to the United States non-stop for the first time. Service to the US has since expanded, as Hainan Airlines now offers nonstop service from Chengdu to Los Angeles and began nonstop service to New York–JFK in October 2017. In addition, Sichuan Airlines and Air China have many international routes in this airport. China Southwest Airlines once had its headquarters on the airport property. Airport Bus No.1, Chengdu Shuangliu International Airport - City Centre (Minshan Hotel, Section 2 of Renmin Road South, Metro station of Jinjiang Hotel); single ticket: ￥10. Airport Bus No.2, Chengdu Shuangliu International Airport - Chengdu railway station(North Railway Station); single ticket: up to ￥10. Airport Bus No.3, Chengdu Shuangliu International Airport - Chengdu East railway station (Chengdu Dong Railway Station); single ticket: ￥12. It costs about RMB 60 Yuan from Chengdu Shuangliu International Airport to the city centre of Chengdu. Passengers can take the CRH train at Shuangliu Airport railway station (-1F of Terminal 2) to Chengdu Nan (South) Railway Station and Chengdu Dong (East) Railway Station; single tickets are about ￥11 (1.5 USD). The CRH trains at Shuangliu Airport Station are also bound for Mianyang Railway Station, Deyang Railway Station, Meishan Dong(East) Railway Station, Leshan Railway Station and Emeishan Railway Station. Chengdu Metro Line 10 is a subway line that links Chengdu Shuangliu International Airport with Taipingyuan Station (the transfer station for Chengdu Metro Line 3 and Chengdu Metro Line 7). It opened on 6 September 2017. ^ "2011年全国民航运输机场吞吐量排名表". Archived from the original on 2012-04-17. ^ 宋薇. "Chinese continue to seek justice for Japanese bombings - China - Chinadaily.com.cn". ^ "五大隊第十七中隊 林恒". Retrieved 14 April 2016. ^ "Chinese biplane fighter aces - 'Buffalo' Wong Sun-Shui". Retrieved 1 June 2015. ^ "Major 'Buffalo' Wong Sun-Shui". Retrieved 1 June 2015. ^ "Air Force History Index -- Search". Retrieved 1 June 2015. ^ "www.cdairport.com/cdairport/en_front/airportinfo_a.jsp". Archived from the original on 2009-05-09. ^ "四川在线 - 双流机场第二跑道今年国庆节前投入使用". Archived from the original on 3 March 2016. Retrieved 1 June 2015. ^ "For United And The Boeing 787, Chengdu Is Just the Start In China." Forbes. September 4, 2013. Retrieved on February 27, 2014. ^ a b "Hainan Airlines Announces First Ever Nonstop Routes Connecting Los Angeles to Chengdu and Chongqing, China". www.prnewswire.com. ^ a b 2018, UBM (UK) Ltd. "Hainan Airlines plans Chengdu – New York launch in Oct 2017". ^ a b 2018, UBM (UK) Ltd. "Capital Airlines revises Madrid W16 operations". ^ "Chengdu Airlines adds Koh Samui service from late-Jan 2019". routesonline. Retrieved 29 January 2019. ^ "定了！武当山机场将开通成都航班 - 机场资讯 - 十堰武当山机场". www.sywdsjc.com. ^ "东航广东地区夏秋航季新增8条航线调整4班国际（地区）航班时刻 - 东航新闻 - 中国东方航空公司". www.ceair.com. ^ 2018, UBM (UK) Ltd. "Lao Airlines adds Vientiane – Chengdu from late-June 2018". ^ "Sichuan Airlines plans Chengdu – Cairo launch in Oct 2018". routesonline. Retrieved 24 September 2018. ^ "Sichuan Airlines adds Chengdu – Ho Chi Minh City service from April 2019". routesonline. Retrieved 11 March 2019. ^ "Sichuan Airlines adds Chengdu – Rome service from late-June 2019". routesonline. Retrieved 22 March 2019. ^ "Sichuan Airlines flight 3U8229". Flightradar24. ^ 2018, UBM (UK) Ltd. "Sichuan Airlines schedules Zurich launch in late-June 2018". ^ 2018, UBM (UK) Ltd. "Spring Airlines adds Chengdu – Phuket in S18". Routesonline. ^ "ABC schedule in July". AirBridge Cargo. Archived from the original on 15 July 2014. Retrieved 9 July 2014. ^ "www.aircargoworld.com/Air-Cargo-News/2012/01/airbridgecargo-commences-chengdu-route/124455". Archived from the original on 2013-02-06. ^ "UPS Launches Express Flights to Fast-Growing Chengdu". UPS. 2011-07-26. Retrieved 2013-02-04. ^ "World Airline Directory." Flight International. 1–7 April 1998. 57. "Shuangliu Airport, Chengdu, 610202, Sichuan, China"